From musical scales derived from the resonance frequencies of planets in our solar system to the direct transcripts of the Apollo 8 mission to the moon, Consolation of Apollo blasts off Earth to take a journey into space through movement, live projections of space, and interactive passages. 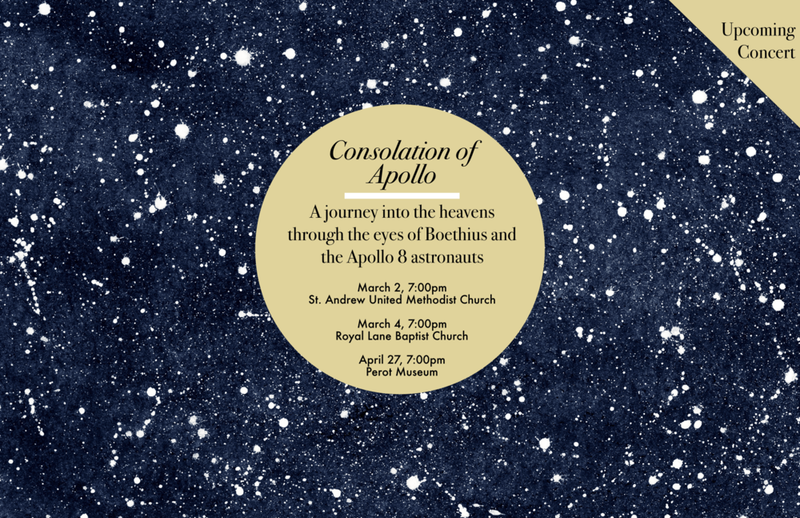 Journey into the heavens through the eyes of Boethius and the Apollo 8 astronauts. Its the closest feeling you'll get to actually being in space. Featuring music by Meredith Monk, Urmas Sisask, and Kile Smith.